My passion is fishing with a dry fly for trout, grayling, and even salmon. I prefer casting drys to using any other method. I get a greater thrill out of seeing a fish come up to take my fly off the surface of the water than I do from landing that fish on a nymph or wet fly. Sadly, dry fly fishing doesn’t always work. Sometimes to be successful, it is necessary to use an unweighed nymph, flymph, or emerger just under the surface. The worst thing that can happen to a dry fly fisherman is when fish are lying down on the bottom or are feeding in deep lies. In those circumstances, I use my leaded bugs. The Leadhead is not only the most successful deepwater nymph I have ever used, but it is also the best overall fly I have created in almost 40 years. I made many modifications and changes to the prototypes before I arrived at the final dressing. My Leadhead Grayling Bugs were originally designed for fishing the large, deep, and swift rivers of Scandinavia, especially to seduce larger fish, but it has since proved effective in many other rivers, lakes, ponds and even in salt water. I have always caught fish with the Leadhead, even in the muddy waters of Malaysia and India, on the Danish coast for sea trout, and in the Caribbean for bonefish. My Klinkhåmer Special has been extremely successful, but the Leadhead catches even more fish. HOOK: 3X- or 4X-long nymph hook, sizes 8 to 4. THREAD: Tan or brown Uni-Thread. WEIGHT: Nontoxic split shot (size BB or AB depending upon the hook size) on a piece of 30-pound-test monofilament. LEGS: Speckled tail or long back partridge feather. The development of the Leadhead parallels but is separate from the Klinkhåmer Special. I tied the first prototype in the same year but in a completely different world: the world of big and heavy bugs! 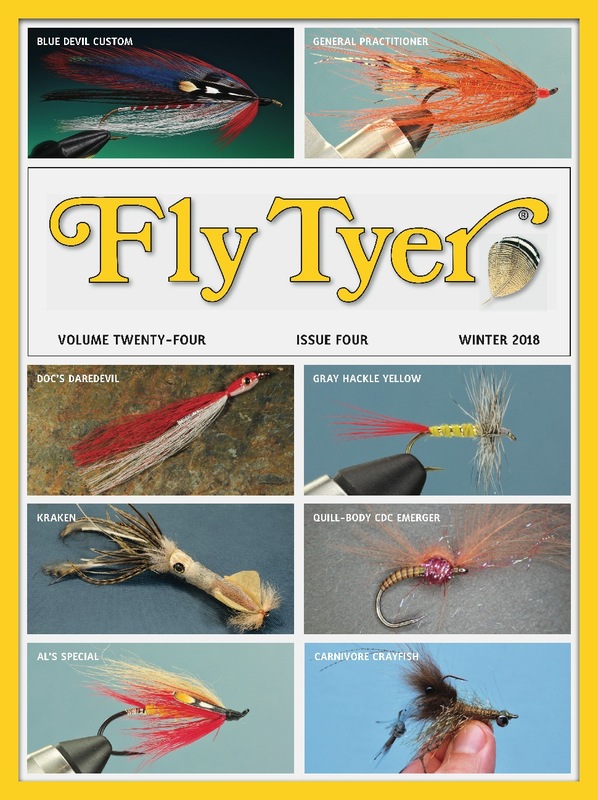 I kept it secret for a very long time because the flies weren’t that good looking—they were even ugly—and of course because a few of my friends were fanatical dry fly purists. In a way, I felt a bit ashamed to use this heavy bug when my friends continued fishing dry flies. I had reached a stage in my fishing when I started to understand that fish sometimes feed heavily below the surface and will refuse any floating insect or fly. However, now that the Leadhead is celebrating its 30th birthday, I think it is time to write the complete story and give you all its secrets. When I start fly fishing, I used only dry flies; it took some years for me to discover the value of nymphs. To be honest, in my early days, I found nymph fishing very difficult, especially in strong currents and deep areas. When I developed my own nymphs, I never guessed how much satisfaction I would get from fishing them. I developed the leaded bugs especially for grayling feeding in deep lies. Before 1980, I tied only a few nymphs for fishing in Holland and to practice my tying skills, but because of the good results I was getting using dry flies, I was seldom inclined to use subsurface patterns. During one of my summer holidays in the early 1980s, I met some Swedish fly fishing fanatics at the Glomma River in Norway. I usually fished in the areas around Koppang, Atna, and Alvdal, but the interest in new fishing grounds drove me farther upstream. I found a nice camping place between Tynset and Os, named Kvennan, located in an area described as one of the best grayling waters in Europe. Unfortunately, it was crowded with other anglers—mainly Swedish fishermen—but everyone was friendly, so I decided to stay. It was a good choice, for in less than one hour after putting up my tent, I had befriended a group of fly fishermen who had been fishing for a couple of days and knew exactly how to tackle the river. They invited me to accompany them on their nightly trips, and I realized that this was the start of a completely new experience. THREAD: Brown or tan Uni-Thread. WEIGHT: Nontoxic split shot (size BB) on a piece of 20-pound-test monofilament. With this group of eager anglers, I fished the most beautiful stretches of the river. After several more years of fishing in this area, I had many favorite beats and hot spots; I knew every big rock and boulder, and noted many special water heights on them so I knew exactly where to go at almost every water level. I loved one spot so much that I call it Otter Creek because almost every time I fished this stretch I have seen otters. It is a little canal of the Glomma River that cuts an entire island in two. Where the canal converges and the current speed increases, the fishing was simply awesome. Years later, the island was officially named Otter Island, but sadly all the otters have disappeared. I still remember those interesting creatures because they were unbelievably curious and good company during those lonely nights on the river. They never disturbed my fishing and were a welcome part of the fantastic wildlife in this part of Norway.